If we continue on the current path of high greenhouse gas emissions, we risk triggering an abrupt change in our atmospheric circulation. 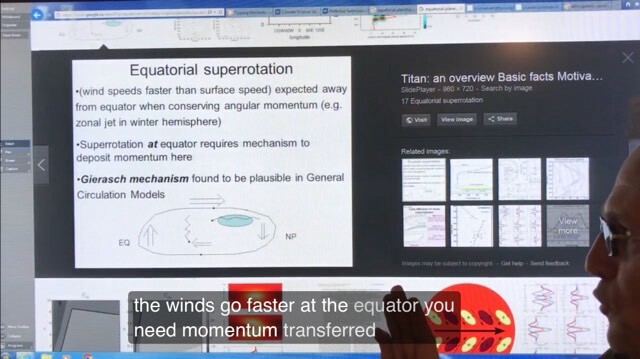 As the band around the equator warms, intense convection adds energy to the winds aloft, which can speed up and become faster than the Earth’s rotation. This super-rotation state can confine water vapour within this band, thus reducing cloud cover at higher latitudes and causing a DOUBLING of climate sensitivity. On Sunday December 3rd I had an interview with CTV television at 4:20 pm EST on this years brutal hurricane season. I emphasized the root cause being disruption of climate causing very hot ocean water and wavy/stalled jet streams. Climate disruption is primarily from the greatly warming Arctic due to human emissions and feedback effects. ‘This year’s deadly Atlantic hurricane season officially ended on Thursday. According to Accuweather, 2017 ranks among the 7 most intense seasons ever recorded. We saw 17 storms including Maria, Harvey, Irma and Ophelia rip through the Caribbean and North America’s east coast causing flooding and mass devastation. For more on this we’re joined by Paul Beckwith, climate system scientist at Ottawa University’. 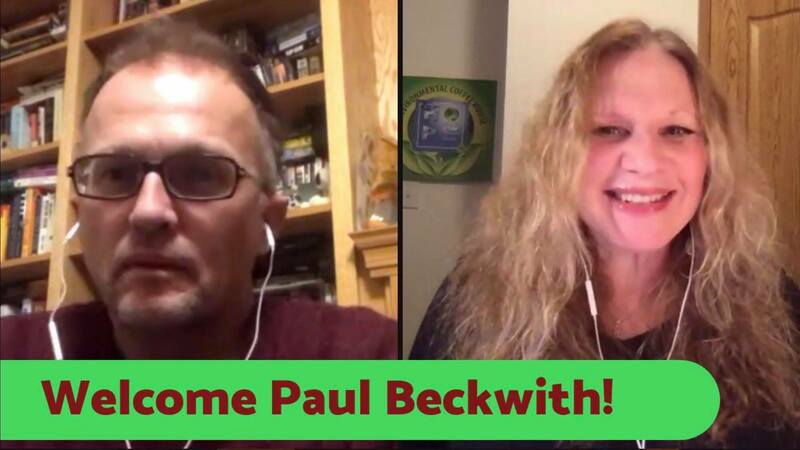 ‘ECH welcomes back Paul Beckwith, Abrupt Climate Educator. Paul has a popular website, You Tube and FB page where you can follow him and see his informative videos . Tonight we discussed climate change and what to do about it, exploring many topics of interest‘. For reference, Earth Null School here. I will be attending the AGU (American Geophysical Union) science conference in New Orleans. The conference runs from Dec. 11th through 15th. Each day I will upload at least two videos to my YouTube channel on what I deem are the most significant climate change science presented that day. I am paying out of pocket for this conference, so please consider a donation on my PayPal to help offset my costs. You won’t be disappointed!!! (Editor, does not require account). I wish to sincerely thank everybody who has supported my work with donations, or by just watching and sharing my climate change videos and blogs to get the word out to the public on how serious abrupt climate change is. I cannot thank you enough. Recently, I emailed all my supporters to thank them and gather their suggestions on content that you wish to see in upcoming videos. I am committed to getting the word out, with ever increasing viewership, so please share, email, blog, post, like our future depended on it. Because it does! 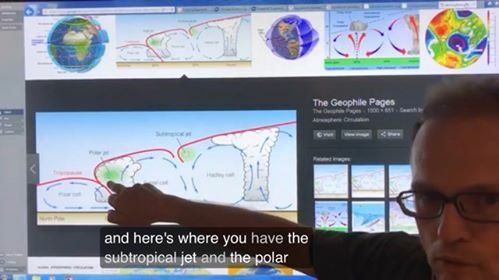 This entry was posted in Announcements, Approaches, Basic Science, Catastrophe, Climate, Climate Change, Collapse, Featured, Global Warming, In The Media, Intended, Interviews, New Video, Oceanography, Planned, Science, Videos, Warnings, Weather, z Fundraising, z Solutions, zz Travel and tagged Abrupt Climate Change, Amplifying Feedback, Arctic, Arctic Ocean, Atmosphere, Braking Feedback, Cascading Feedbacks, Climate, Climate Casino, Climate Change, Climate Instability, Climate Stability, Compound Events, Drought, Earth Null School, Equatorial Atmospheric Super-rotation, Equatorial Atmospheric Superrotation, Feedback, Feedbacks, Flood, Global Warming, Hadley Cell, Jet Streams, Negative Feedback, Nonlinear, Oceans, Positive Feedback, Rain Forests, Sea, Sea Ice, Sea Ice Thickness, Storms, Thresholds, Tipping Elements, Tipping Points, Weather, Weather Weirding, Weather Whiplashing, Weather Wilding, z CTV, z Sandy Schoelles. Bookmark the permalink. I still do not read your site, or watch your videos. When you stop censoring comments and start acting like a man, maybe I will reconsider. But for now, I consider you a child, throwing a petulant fit when anyone dares to challenge you narrative, which has a great many oversights, assumptions and incorrect claims.